I hear you have an informal Acapella group that sing together somewhere in North London, I quickly took a look at your repertoire, which is nice, but feel there is a whole rich seam of acapella songs you have not discovered yet. I am in North London too! 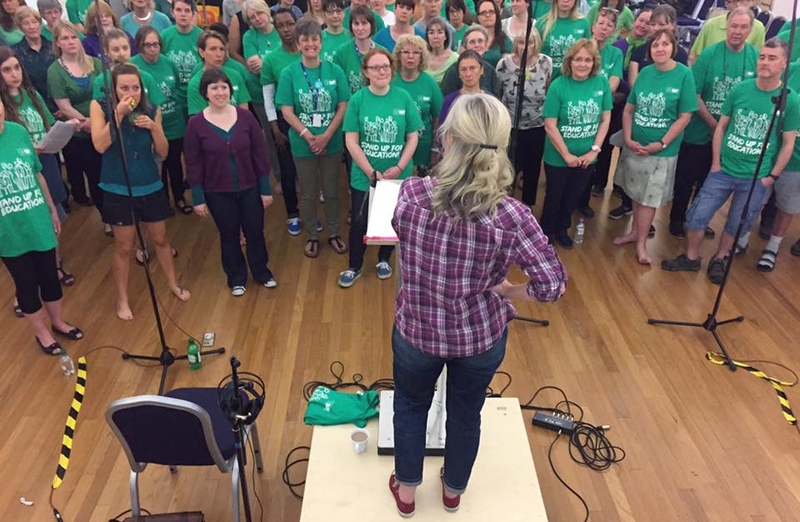 So there is an opportunity not to be missed for you to get in touch as I am probably the leading anorak of community acapella arranging in the area I could give you all pointers on some more lovely songs for you and your friends to sing Also I have two lovely publications of popular songs which are LUSH. and you can listen to all the audio tracks on the website sing-pop-a-cappella. It seems like an opportunity not to be wasted. I might be able come around and run a little workshop for you too. Thanks for Neroli that helps me sleep. THE FIRST VERSION IS ME ( WITH MY BACK TO YOU ) AND 3 FRIENDS DEMONSTRATING THE SONG BEFORE WE TEACH. AND THEN THE BISHOPSGATE SINGERS FIRST GO AT IT , AT OUR END OF TERM INFORMAL SHARING.